Working on a Master's Degree I am currently working on a Master's Degree at UCCS in Colorado Springs. Does chestlvr belong in this group? Looking for my CO loving female! Does aphex001 belong in this group? Does wjm1984 belong in this group? Scientist, graduate student, zombie: BRAINS! Does atomheartmother belong in this group? Does ooghost1oo belong in this group? live, work & play here Not originally from Colorado but do live here. 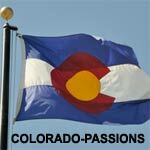 Colorado born and raised. I love Colorado and all its beautiful scenery. I just want to share my love of this beautiful state with others. Does cenobites699 belong in this group?